In a case of first impression, Judge James M. Munley, of the United States District Court for the Middle District of Pennsylvania issued an April 27, 2010 Memorandum Opinion in the post-Koken case of Wabby v. State Farm Mutual Automobile Insurance Company, No. 3:09cv2449 (M.D. Pa. 2010, Munley, J., mem. op. ), in which he delineated the standard of review on a motion to join a party in a case that has been removed to the federal court where such a joinder may serve to destroy the diversity of citizenship necessary for federal court jurisdiction. In this post-Koken case, the Plaintiffs originally filed a negligence action against a tortfeasor in the Schuylkill County Court of Common Pleas. Approximately 16 months thereafter, the Plaintiffs filed a separate civil suit against State Farm, the Plaintiffs’ uninsured motorist carrier. The suit against State Farm was also filed in the Schuylkill County Court of Common Pleas. The claims against State Farm included a contract action for the recovery of uninsured motorist benefits as well as a bad faith claim. State Farm removed the case against it to the Middle District federal court. Thereafter, the Plaintiffs filed a motion in the federal court to join the tortfeasor, a non-diverse Defendant, in the federal matter. In conjunction with that motion to join, the Plaintiffs also filed a motion to then remand the entire federal court matter back to the state court, under the argument that the joinder of the tortfeasor would destroy the diversity necessary to support federal jurisdiction. Judge Munley noted that, since the Plaintiffs were seeking to join a non-diverse Defendant in the federal court matter, the Motion to Join must be analyzed under 28 U.S.C. §1447(e) (“If after removal the Plaintiff seeks to join additional Defendants whose joinder would destroy subject matter jurisdiction, the Court may deny joinder, or permit joinder and remand the action to the State Court”). Judge Munley noted that “[t]he United States Court of Appeals for the Third Circuit has not established how a district court should apply §1447(e).” Reviewing the law of other federal district courts, Judge Munley went on to “adopt” the Fifth Circuit’s standard of review on §1447(e) motions as set forth in the case of Hensgens v. Deere, Co., 833 F.2d 1179, 1182 (5th Cir. 1987). (4) Any other factors bearing on the equities. Hensgens, 833 F.2d at 1182. Judge Munley also noted in his decision that federal courts are courts of limited jurisdiction and that there is a general presumption in favor of state jurisdiction. As part of his analysis, Judge Munley also stated that, in the removal context, the applicable statutes are strictly construed against removal and all doubts are resolved in favor of remand wherever possible. Analyzing the Plaintiffs’ Motion to Join and Remand in accordance with the Fifth Circuit’s standard of review, Judge Munley found that, since the Plaintiffs’ intent in seeking joinder and remand was to reduce litigation costs and conserve judicial resources, rather than to prevent federal jurisdiction or to delay the case, the Plaintiffs’ Motion to was granted. 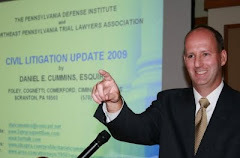 As such, the non-diverse tortfeasor was joined in the federal action and, as a result, the entire federal action was then remanded back to the state court of the Schuylkill County Court of Common Pleas. A "Transient Rub of Life"